There’s a number of immediate changes after yesterday’s budget. FINANCE MINISTER PASCHAL Donohoe yesterday announced a raft of changes to our tax system and some of them have already kicked in. From midnight tonight (as in five minutes ago) – cigarettes will now cost an extra 50c – meaning that a regular pack of 20 will set you back around €12.70. The move has been denounced as a “slap in the face” to shopkeepers who say that more resources must be given to gardaí to tackle cross-border and international smuggling. Retailers Against Smuggling’s (RAS) Benny Gilsenan said the hike will only galvanise criminals. Excise duties remained the same on alcohol meaning Ireland remains the country with the second highest tax on alcohol in the EU. Away from the old reliables, there are a couple of new tax measures which have taken effect including a new Anti Tax Avoidance Directive (ATAD) or so-called ‘Exit Tax’. This tax will apply at a rate of 12.5% on any “unrealised gains arising where a company migrates or transfers assets offshore, such that they leave the scope of Irish taxation”. The measure is intended to stop companies moving their money abroad without the Irish state receiving any tax. A number of other measures will kick in around 11 weeks. 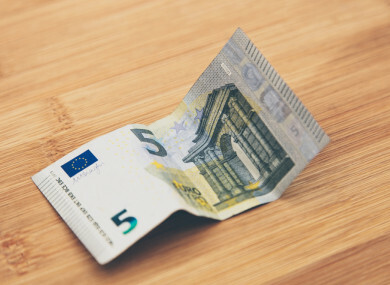 the weekly threshold for the higher rate of employer’s PRSI will be increased from €376 to €386 to ensure that there is no incentive to reduce working hours for a full-time minimum wage worker. You can follow all our in-depth coverage of Budget 2019 here. Email “Budget 2019: Here's what measures kick in today ”. Feedback on “Budget 2019: Here's what measures kick in today ”.